Handcrafts exhibition of religious sawdust carpets and liturgical sings. 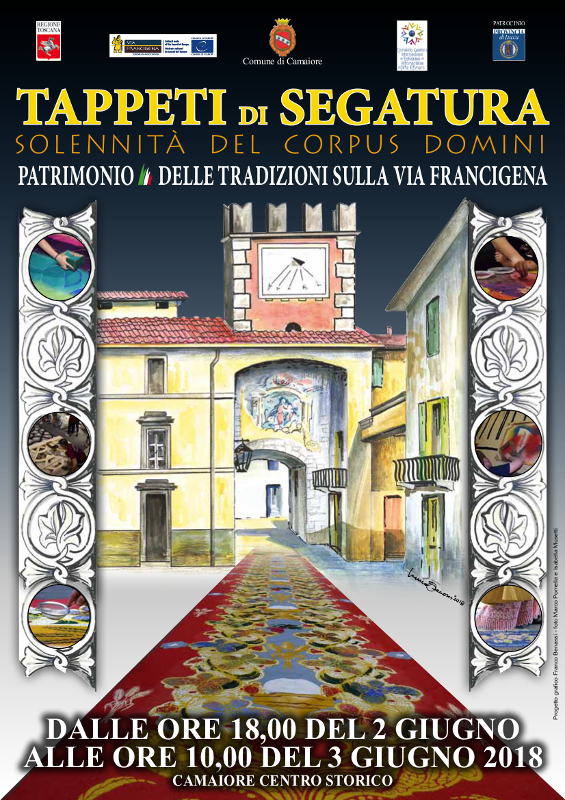 Historical center of Camaiore, from Saturday evening from 7.00 pm to 10.00 am on Sunday. On Sunday morning at 8.30 a.m. Holy Mass in piazza Diaz and then procession. For info: cultura@comune.camaiore.lu.it or tel. 0584986312/ 0584986322. Organized by the Municipality of Camaiore.